In media production sector, voice-over and dubbing are undoubtedly among the most important aspects. Voice-over and dubbing are the signature of your world that are reflected to the big masses. That’s why it’s so important. Voice-over and dubbing enhance your competitiveness with social interaction while socializing your brand. Audible content contains powerful messages and the effect lasts for many years. Just like you remember Eti’s song. Yes exactly. Now, let’s consider how dubbing and voice-over make your brand socialize. Advertising agencies, voice-over and dubbing agencies, digital agencies etc. All idea manufacturers want the commercial content to be heard by everyone. This is exactly what they want. These visual and audio contents are commercials, promotional films, viral advertisements, radio advertisements, jingles. These commercial contents are presented to the target audience by PR and media planning agencies. Social media ads, which have recently become a trend, are broadcast on media mediums such as facebook, Google, Instagram, Twitter and YouTube. Planning a visual content on these channels allows you to access millions. Your brand are known, heard, and seen by millions of people. Visual content prepared by voice-over services also has a very strong effect on the voicemail. Before the Internet became widespread, there were radio and television that were popular as mass media. Radio ads were very popular. 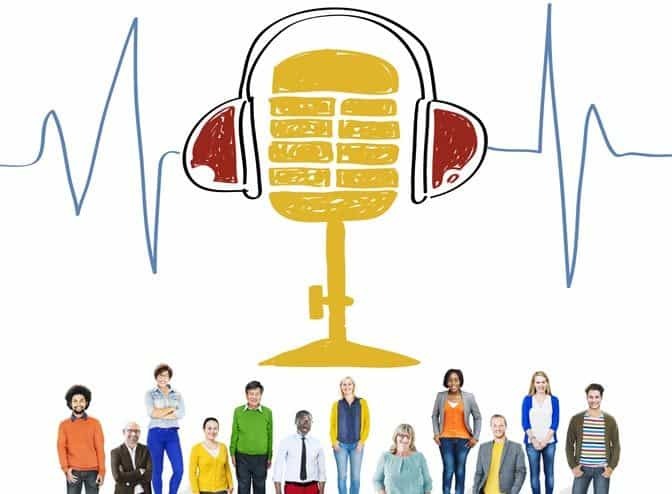 When the radio listening rate was high, it could not receive a recycle from the publication of a brand ad that tries to reach its target audience by voiced radio ad. However, a brand advertiser through social media can monitor the cycle of the ad immediately. The age range of the listeners, their gender, educational status etc. are seen as a data allowed to develop strategy. Social media voice-over services include commercial films, promotional films and viral advertisements. BiberSA production offers a solution to the companies in this field with its professional staff. The voice of commercials on social media will greatly increase the impact of your brand on the viewer. Because the visual content which is not only composed of images but which has been spent on labor will positively affect the opinion of the viewer about the advertiser. One of the areas in which the voice-over is effective is YouTube contents. Recently, the rapidly growing YouTube channels have a positive impact on the media production sector. While the voice-over and dubbing industry needed in Youtube channels satisfy the industry, it is also important for the advertiser. Because the visual content with the voice-over has a greater impact on the audience.